Simba Sleep doesn’t make simple sleeping products and their products are manufactured meticulously using scientific data to create market-leading products that are designed to take your sleeping experience to the next level. 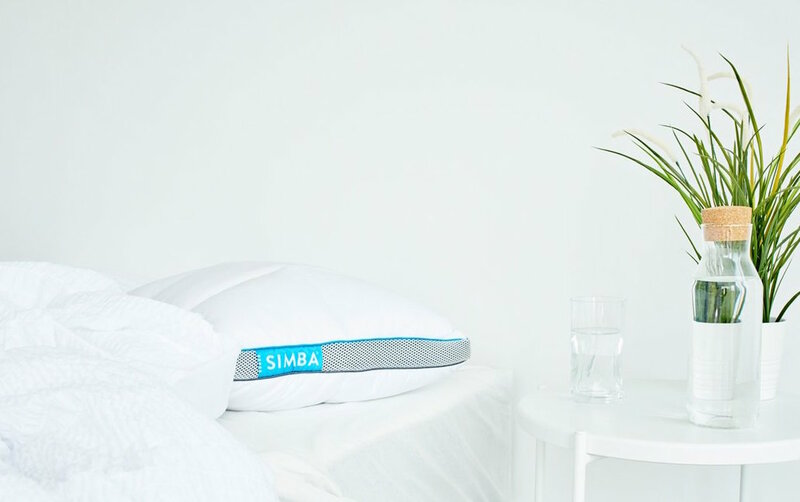 The Simba Sleep pillow is the result of a full year of investment into prototypes using the newest innovative technology to bring you one of the most advanced pillows available on the market. 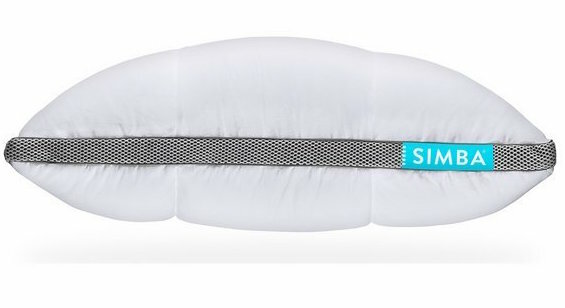 The Simba Sleep Hybrid pillow is no exception, and we’ll show you why in this review guide. The pillow uses unique Nanotube technology not used in any other pillow. The pillow has a memory foam filling moulds into hundreds of tubes which can be added or removed from the pillow so you can create a custom height and firmness for your pillow. It makes it suitable for all sleeping types whether that be front, back or side because each Nanotube responds to changes in your position to provide support to the vulnerable areas of your head, neck and shoulders. The pillow is supplied with a supporting mesh bag which allows you to store away any excess Nanotubes. 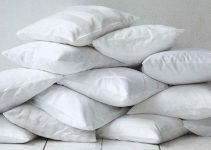 The pillow also contains duck down which is incredibly soft and lightweight which not only gives the pillow a comfortable feel but also promotes airflow. The pillow also uses smart microfibre which gives the pillow hypoallergenic qualities, while the pillow also promotes active temperature regulation with inbuilt side panels. These panels work in combination with the Nanotubes to allow air to circulate which functions to regulate your body temperature, so you don’t overheat throughout the night whether this is in summer or winter. Simba has split the pillow into two halves which brings you multiple benefits depending on your sleeping preferences. On one side of the pillow, there is OUTLAST material which is combined with soft duck down; this regulates the temperature of your body while the down gives a soft feel. On the other side of the pillow is a 300 thread count jacquard cotton material which also has inbuilt smart microfibre. This is what gives the pillow that cloud-like light feeling which also ensures that the pillow retains the plump feeling. Aesthetically the pillowcase has a nice, clean and modern look with a dominant white colour with silver trim where the ventilation panels are housed. The cover is made from 100% cotton which is removable and machine washable. You can also spot clean the pillow with a cloth if stains manage to get through the pillowcase. The pillow offers excellent support while you sleep and has a degree of comfortable sink but then also has punchy support to keep your spine aligned for the full length of your sleep. Because you can adjust the number of Nanotubes, it’ll be difficult to find a person that can’t use this pillow and create their custom height and firmness to match their sleeping style. It will take a few nights to get used to it which is to be expected with a customisable pillow, but once this has been completed, you’ll find that you wake up in the morning feeling more refreshed especially if you currently suffer from neck pain. These qualities make it one of the leading pillows on the market because not only do they claim that it suits all types of sleepers, but it delivers on this promise. The pillow is slightly pricier than competitor brands; however you will feel the difference when you use it, and it's well worth the price. This pillow is great if you’re looking for a pillow with a higher level of customisation or if you’re used to having pillows that don’t quite meet your requirements. Regardless of the position you sleep in this pillow will be suitable for you, and even more so if you’re looking to back a British based brand. Most pillow manufacturers are focused only on the performance but forget about the aesthetics, but Simba has done both. So not only is the quality of your sleep better but also the pillow will not look out of place in even the most design-focused households. The pillow comes with a three-year warranty which is one of the leading periods in the industry, so if at any point the pillow develops a fault then you can return it to Simba in exchange for a new pillow.